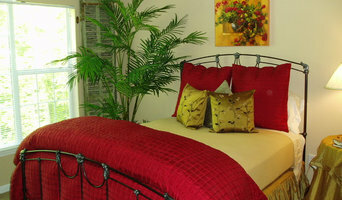 Atlanta Draperies (formerly William West Designs) has been serving Interior Designers and their Clients since 1999. We design and create luxury curtains, bedding, and accessories. We offer fine crafted drapery hardware in finishes that are sure to inspire. You’ll find everything from metal to wood, most of which is available for pickup in as little as two days. If you are looking to indulge yourself, we would like to suggest, a down comforter by Phoenix Down. We also have feather pillow forms in the most popular sizes. We are AVAILABLE for IN-HOME CONSULTATIONS. Avenue Interiors was founded in 1986 in Toronto Canada by Mrs. Zohreh Rouzati. Our mission is to understand the requirements of our customers and meet their needs by delivering excellent customer service. To always use exceptional materials and experience to garner customer loyalty and to be number one in interior design through always working and providing our very best. We offer 30 years experience in interior design with windows and wall coverings. We also offer window treatments, renovations, furniture upholstery and fabrics. 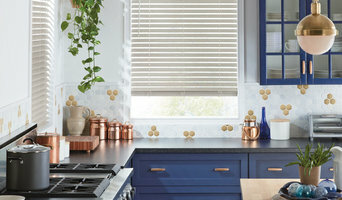 This includes a wide variety of wood blinds, shutters, and window silhouettes. 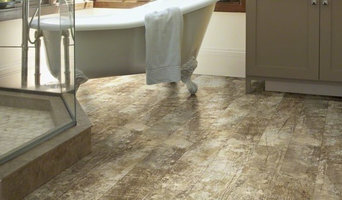 We provide many wall paper designers, custom blinds, curtains and drapery, and shades and shutters. 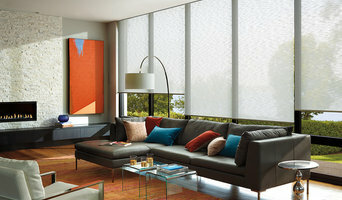 We also offer motorized blinds and curtains and custom upholstery and fabrics including pillows and cushions. Interior consultations are also available. In 1997 Avenue Interiors moved their headquarters to Atlanta, Georgia, USA. In 2000 we became the number 1 manufacturer and distributer of all kinds of window coverings and products in the U.S. Our U.S. production exceeded 2500 units of custom made products per day. In 2004, we opened our first overseas operation in Dubai, UAE. In 2009, we opened our first show room in ABU Dubai at Al Raha Mall. In 2011, we open our 2nd location at Mushrisf Mall. In 2013, we opened a 3rd location in Dammam, Saudi, and in 2015, we expanded to Riyadh and Jeddah, Saudi. Our goal is to make your visions of today, tomorrow’s realities by harmonizing your life with your style. Avenue Interiors is a new dynamic in the world of design. We continue to offer excellent customer service by catering to both residential and commercial clients. Here at Avenue Interiors, we cater to both large and small jobs. No matter the size of your budget, we can help you realize the potential of your space. We hope to continue to provide excellent customer service by making everyone’s visions a reality. Vision statement Making your visions of today, tomorrow's realities by harmonizing your life with your style. Mission To understand the requirements of our customers and meet their needs by delivering excellent customer service. To always use exceptional materials and experience to Garner customer loyalty. To be number one in interior design through always working and providing our very best. Motto "Bringing visions of the mind to reality"